Fiori di Sicilia — or “flowers of Sicily” — is an Italian flavoring used in panettone and pandoro. 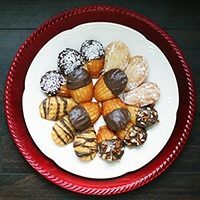 With a dreamy combination of citrus, vanilla and a light floral aroma, this flavoring would make a great addition to any baked good, adding a distinctive taste that’s light and enticing rather than overpowering. For these simple star-shaped sugar cookies, it’s just perfect, as evidenced by how quickly they disappeared from the plate last week! 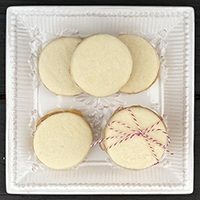 In a medium bowl, beat together the butter, sugar, cream cheese, salt, vanilla and Fiori di Sicilia until creamy. Add egg yolks and beat until full incorporated. Gently stir in the flour until dough is smooth. Divide dough in half and wrap each half in plastic wrap. Refrigerate for at least 30 minutes. Unwrap refrigerated dough and place between two sheets of parchment paper. Roll out to 1/8″-1/4″ thick and cut out shapes with a cookie cutter. Sprinkle generously with sparkling sugar. Transfer to a cookie sheet or stone. Bake for 8 to 10 minutes, until the edges begin to brown. Remove from oven and let cool on the cookie sheet for 5 minutes before transferring to a rack to cool. 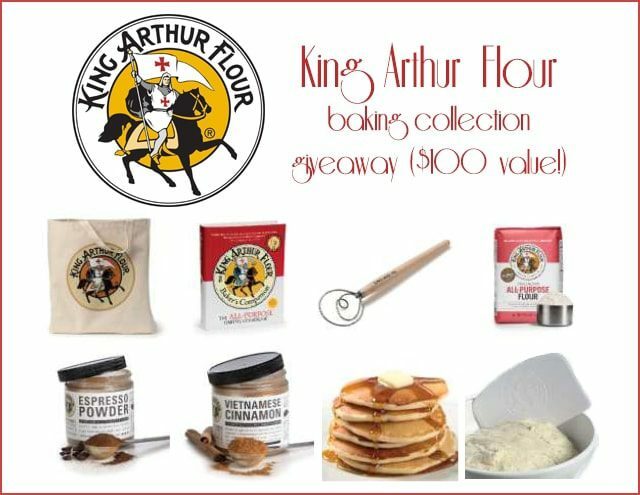 King Arthur Flour has been a regular part of my kitchen for many years now. Their Unbleached All-Purpose Flour and White Whole Wheat Flour are pantry staples I buy on almost a weekly basis, and I use my stainless steel measuring cups and spoons daily. 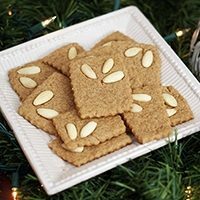 As part of their 101 Days of Christmas sponsorship, I had the opportunity to try a few new products, and there are now a few new things on my list of King Arthur Flour brand only products. 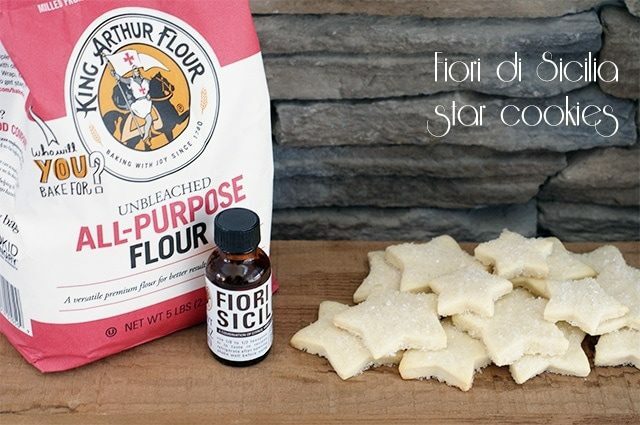 This includes castor sugar, which is a superfine sugar perfect for baking and candy making, half sheet parchment paper, flour wand, and — of course — Fiori di Sicilia flavoring. This giveaway is now closed! The winner is Karen ([email protected])!